TRACKED ELEVATING DEVICE (TED) - Wabash Mfg. 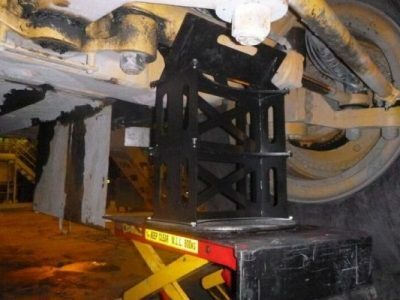 Inc.
TED® (tracked elevating device) was designed specifically to eliminate suspended load hazards associated with bulldozer belly plate removal. Being a remote controlled, battery powered, self propelled all terrain jack; TED® significantly reduces the risk of workplace injuries, bulldozer downtime and float costs. 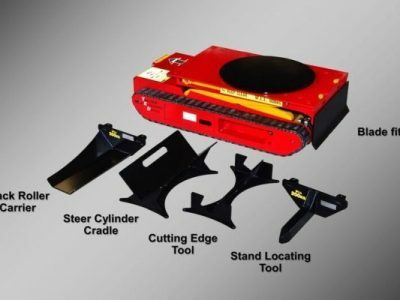 TEDs® skid-steer track system is easy to control, provides excellent maneuverability and allows all terrain capability. 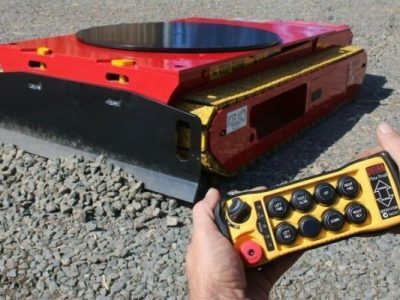 This sets TED apart from other jacks in operation today as it allows in-the-field servicing, thereby eliminating the recovery costs associated with floating bulldozers back to the workshop. 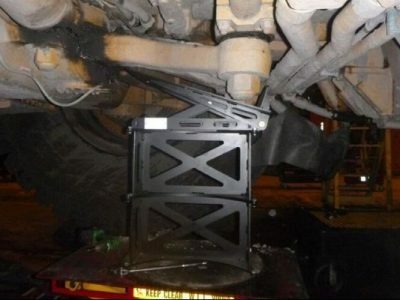 Not only is TED® the most efficient way of removing bulldozer belly plates,it is also by far the safest. 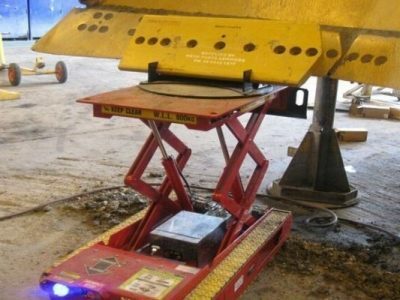 The ability to control TED® via a wireless remote control greatly reduces the need for personnel to be subjected to suspended load hazards. 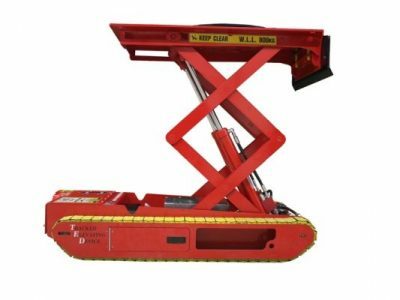 TED® has an array of attachments available which greatly reduces the need for workers to push, pull or carry heavy loads in and around the workshop.